If you are a soccer fan, then you are likely counting down the days until the World Cup kicks off this year in Russia. Many people watch the international tournament dreaming that their country can win the entire competition, crowning themselves world champions. Although the World Cup features the best players in the world, there are still some moments that can only be described as bizarre. Sure, there are some incredible displays of skill and a strong desire to win, but these are things we expect of famous sportsmen and women. We have looked through some of the biggest moments throughout the history of the World Cup and picked out the most bizarre of them. These are the incidents that have left teammates, match officials, the crowds, and the viewers at home all wondering what on Earth is going on. The pressure on the players at the World Cup is immense. The hopes of their entire nation rest on their shoulders, which can cause some people to crack under all of that strain. Others use the pressure to make them play better. We are looking at the moments where these players have done the unexpected and confused the world with their antics. Live sport can throw up all kinds of unforeseen scenarios, so if you enjoy seeing the strange side of soccer, then you’ll love these bizarre World Cup moments. In soccer, there is a phrase that many players are taught when they are young children, “Play to the whistle.” This means you don’t stop playing until the whistle blows; even if you believe the game should be paused, only the referee has that power. 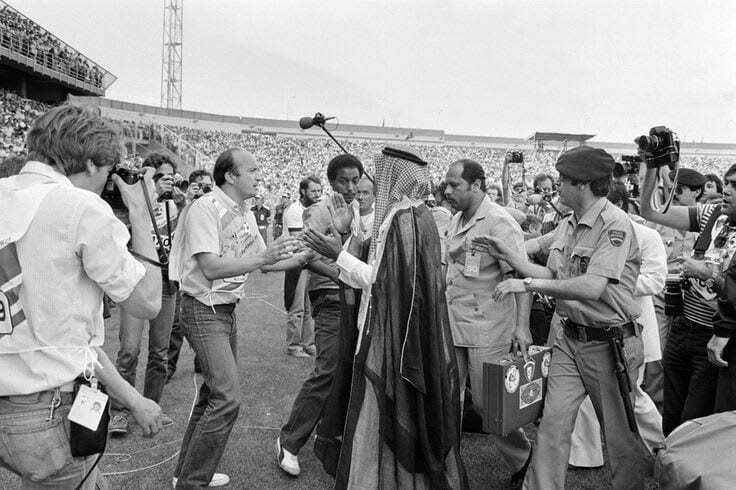 During the 1982 World Cup in Spain, Kuwait were playing against France when, incredibly, the Kuwait defense just stopped. Kuwait thought they had heard a whistle, but the referee had not blown it. France went on to score a goal, which the referee allowed. Kuwait’s players were convinced they heard a whistle from the referee, and, under instruction from Kuwaiti government officials in the crowd, just walked off the pitch in protest. If you want to do well at the World Cup, then you will need to make sure all of your players play as a team, especially if you are not one of the favorites for the tournament. 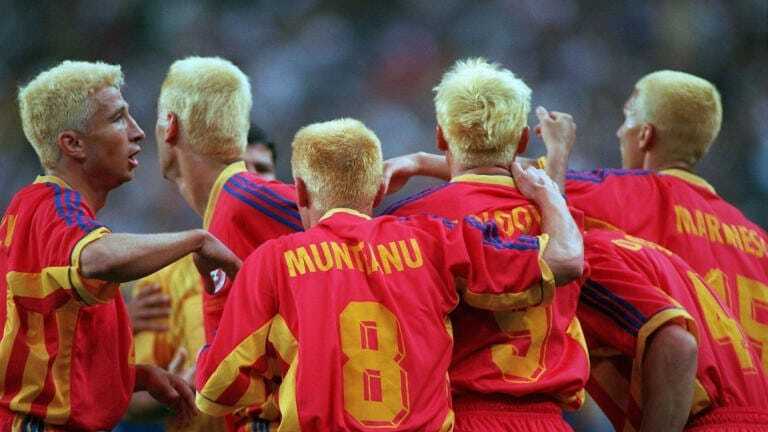 To try and enter into the spirit of the cup, the entire Romanian team dyed their hair blonde for the 1998 World Cup in France. In an attempt to bring themselves some good luck, each Romanian player visited a barbershop to dye their hair the same color as their usual jerseys, yellow. While the Romanian team performed as well as they could have done, the hair stunt was not enough to secure victory, and they went out in the second round. In the 2010 World Cup, Luis Suarez ruined what many people felt would have been a fairy tale quarter-final victory for Ghana. Late in the game Ghana had a shot that was heading into the goal, but striker Suarez turned goalkeeper and saved the ball with his arm. He was sent off, but Ghana missed the penalty kick they were awarded. Uruguay would go on to win the game in a penalty shoot-out, with many neutral fans feeling cheated that Ghana were leaving the tournament. Brazilian forward, Rivaldo was a skillful and hugely supported soccer player, until the 2002 World Cup. Brazil were winning a group game against Turkey thanks to a controversial penalty goal and were time-wasting in the remaining minutes. Rivaldo went to take a corner but didn’t try and retrieve the ball, so a Turkish player kicked it at him, hitting the Brazilian in the leg. Rivaldo flung himself to the ground pretending he had been caught in the face, getting his opponent sent off in the process. 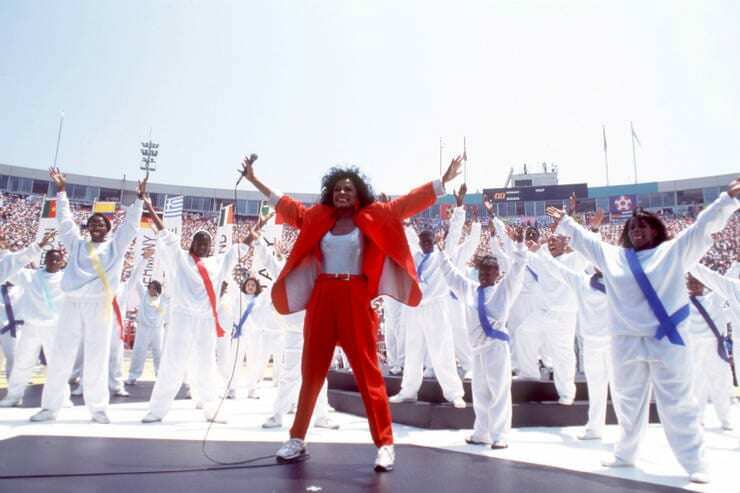 During the opening ceremony of the 1994 World Cup in the USA, Diana Ross was performing to much fanfare. Surrounded by a marching band with hundreds of players, she was set up to score an easy goal. Ross teased the crowd by taking a few runs up to the ball before she eventually struck it way wide of the goal. In a staged moment, the goal collapsed as though her shot broke the goal, despite missing the mark. Normally the players create the unforgettable moments during the World Cup, but in 2006 we turned our attention to the referee. 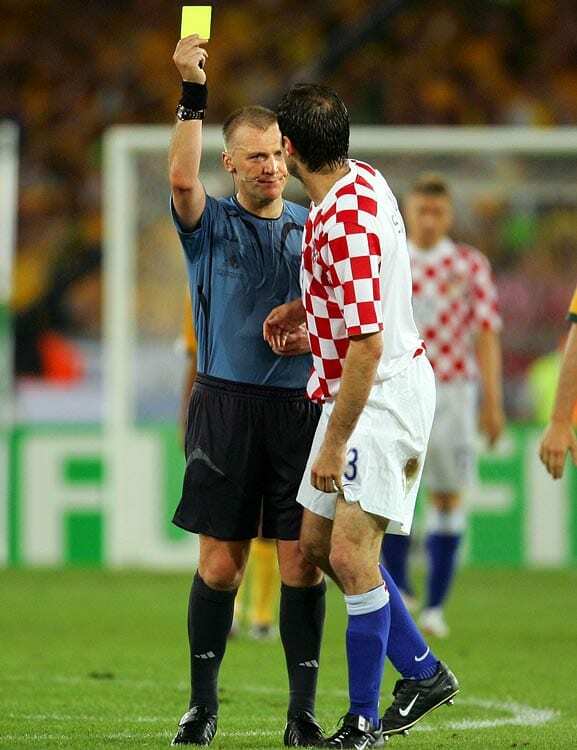 English referee, Graham Poll, gave Croatian defender Josip Šimunić a yellow card during a group match between Croatia and Australia. Following another foul, Šimunić was booked again, and at this stage should have been sent off for two yellow cards. The referee forgot he had previously awarded Šimunić a yellow. Amazingly, instead of being careful, Šimunić fouled again and was awarded a third yellow card, finally being sent off. During a match between Brazil and Zaire (now known as DR Congo), there was an unusual attempt to defend a free kick. Brazil had been awarded a free kick outside the Zaire box, presenting a real opportunity for the South American team to score against their African opponents. As the Brazilian players were lining up to kick the ball, a Zaire defender, Mwepu Ilunga, bizarrely ran up to the ball and illegally kicked it up to the other end of the field, getting a yellow card in the process. James Rodriguez was a breakout star during the 2014 World Cup in Brazil. He finished the tournament as the top scorer and was rewarded with a high-profile move to Spanish club Real Madrid thanks to his incredible performances. Many fans were desperate to get close to the latest Colombian soccer star. Fans come in all shapes and sizes, and during one match a giant bug landed on Rodriguez – no doubt trying to get a closer look at the best player of the tournament. The Republic of Ireland had fought hard to make it to the World in Japan and South Korea in 2002. 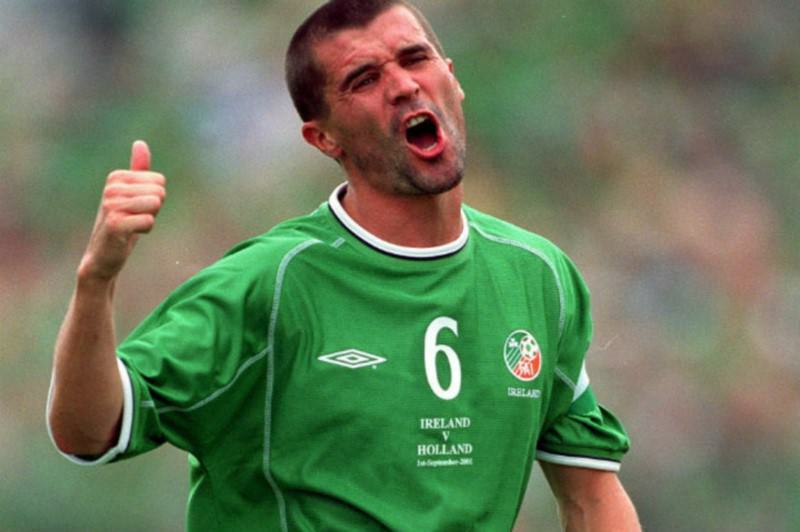 Despite not having many star players, they had one of the greatest ever players in the English Premier League in Roy Keane. Despite being their star player, Keane decided he would go home early and refused to play following a disagreement with his manager. Keane, a midfielder, was annoyed at having to play in goal during training and, after berating his manager, went home, breaking Irish hearts. During a World Cup, it is the players that you would assume are the most likely participants to end up with an injury. During the World Cup in Brazil, English physio, Gary Lewin, was overcome with joy as England had managed to score a goal against Italy in their group match. Unfortunately, that joy would soon turn to agony as the physiotherapist severely broke his ankle, requiring him to fly home and have emergency surgery. Brazilian soccer star Ronaldo was one of the top players during the tournament. Ronaldo had been a global star for almost a decade, and fans were eagerly anticipating his appearance at the World Cup in Japan and South Korea. 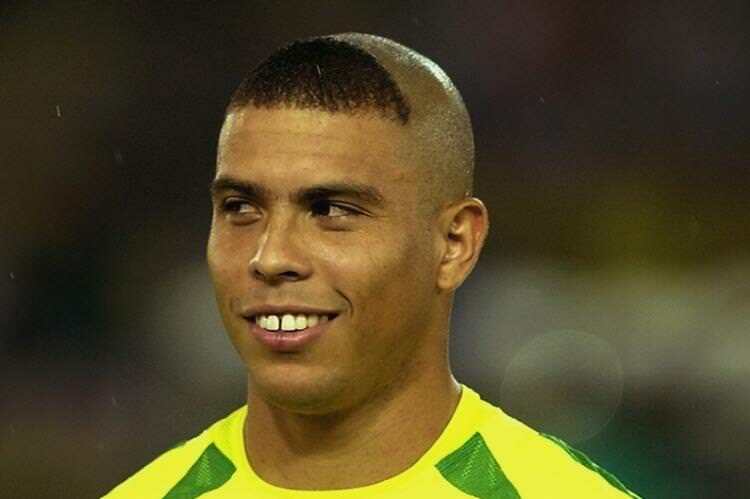 Brazil made it all the way to the final and Ronaldo gave himself this crazy haircut for the last game. Ronaldo claims that he wore the strange hairstyle to make sure his son would be able to spot him from the crowd. 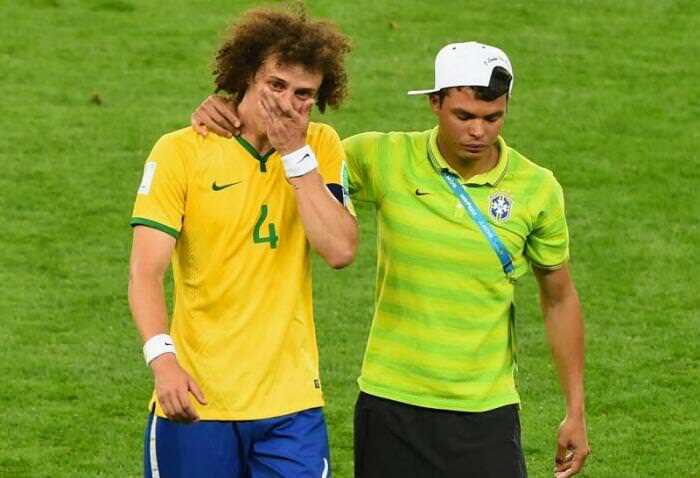 It even proved to be lucky, as Brazil won the final. Although England invented soccer, many people believe Brazil is the home of the sport. They have won the World Cup more than anyone, and their fans are incredibly passionate. In 2014 the World Cup was held in Brazil, and the hosts made it all the way to the semifinal. They were humiliated by Germany in that game, losing 7-1, with many of the crowd left in tears as their heroes were left hanging their heads in shame at the final whistle. A ghost goal refers to two scenarios: the first, the ball doesn’t cross the goal line but a goal is given and the second, the ball crosses the line but a goal isn’t given. There have been several incidents in soccer history, but the first one of real significance was during the World Cup final in 1966. 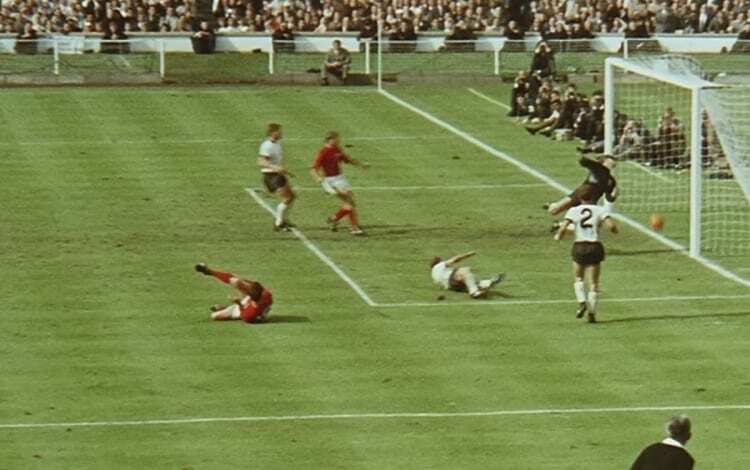 English player, Geoff Hurst, smashed a shot against the crossbar and the ball bounced down close to the line. It is unclear if it went over or not, but the referee gave the goal anyway. 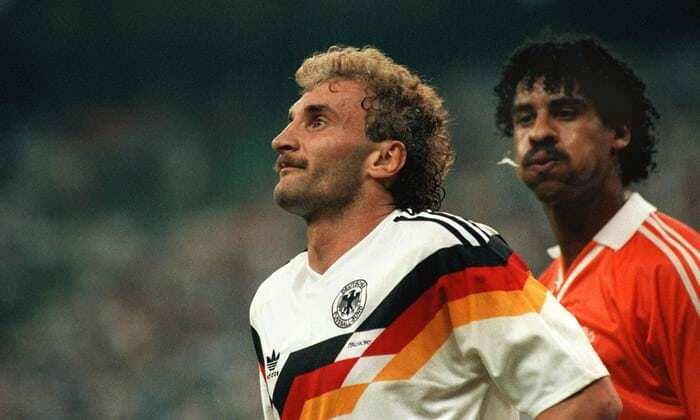 In a feisty encounter between Germany and Holland, Dutch player Rijkaard took things too far by spitting at German striker Rudi Völler. Rijkaard spat on the German’s hair after a freekick was awarded, then twisted his ear and stamped on him following what looked like a dive later in the game. The referee sent both players off, and as they were walking off the field, Rijkaard once again spat at the German. There is a lot of pressure on the players who are fortunate enough to represent their countries at a World Cup. During the 1994 World Cup in the USA, Colombia were among the favorites to do well. Things didn’t go as planned, and they crashed out thanks to an own goal by Andrés Escobar. It was believed the Colombian cartel had lost lots of money following their country’s exit from the tournament and as Escobar returned home, he was targeted and shot. Paul Gascoigne was an emotional player, and this emotion often allowed him to play with the flair he was famed for. During the World Cup in Italy in 1990 England made it to the semifinal, playing against Germany. 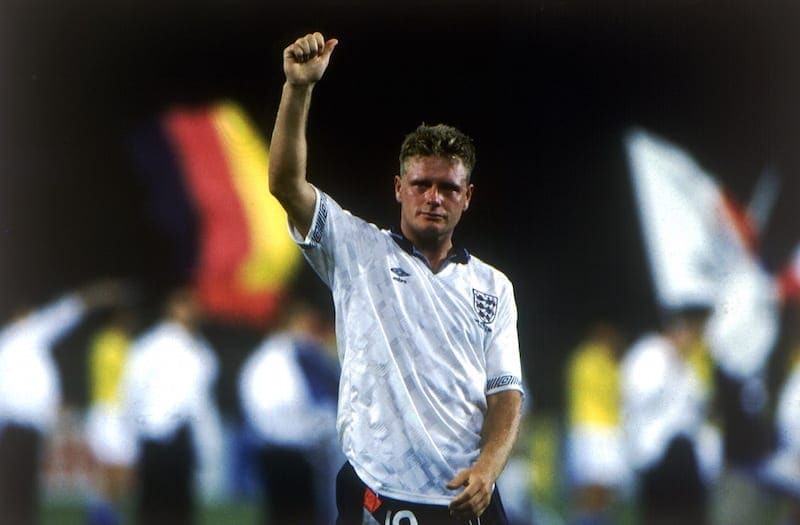 Gascoigne was given a yellow card during the game, meaning he would miss the final if England were able to win. His emotions got the better of him, and Gascoigne burst into tears during the game as it dawned on him that his dream of playing in a World Cup Final was over. During the quarter-final match at the 1962 World Cup, a dog ran onto the pitch. 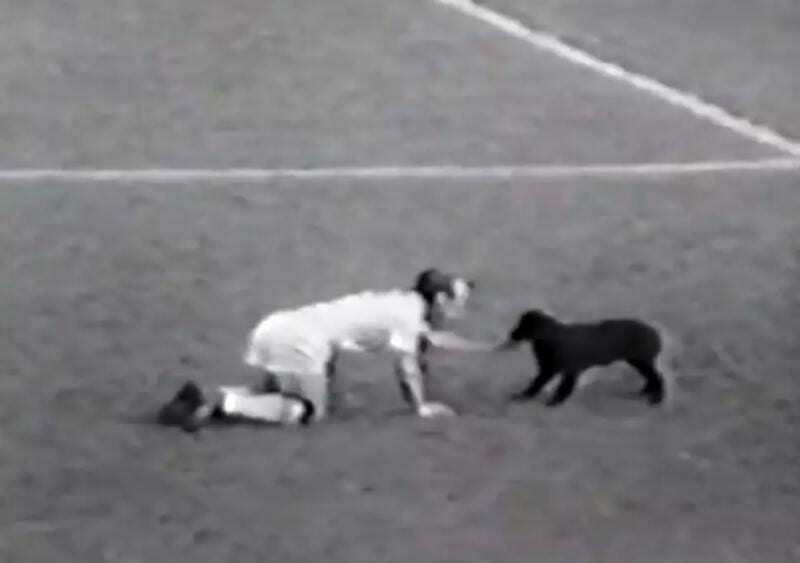 Brazil were playing England, and after several Brazilian players tried to catch the canine pitch invader, Englishman Jimmy Greaves got down on all fours and grabbed the mutt. He had to wrestle it but was successful, and the dog was escorted from the game but left its mark all over Greaves. The dog had gone to the toilet all over Greaves’ shirt, and the English player had to complete the game smelling awful. 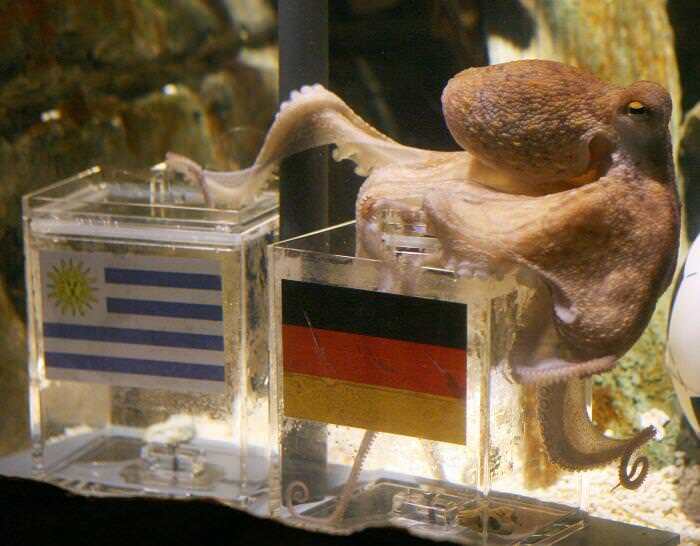 Paul the Octopus shot to fame in Germany following an amazing ability to predict the results of Germany during the European Championships in 2008. He got four out of six results correct but would do even better at the 2010 World Cup. Paul correctly predicted the outcome of all of Germany’s matches at the tournament, reaching cult status among soccer fans after his amazing ability to predict the future. He was presented with two food boxes, representing Germany and their opponent, and whichever box he chose was considered his prediction for victory. Zinedine Zidane is regarded by many soccer fans as one of the best players of his generation, and arguably of all time. After a wonderfully successful playing career, Zidane vowed he would retire from playing after the 2006 World Cup. Zidane had captained France to the final of the tournament, and many people thought it would be fitting for the great player to retire with a World Cup win. Zidane decided he would end his career on his own terms, headbutting an opponent and getting himself sent off. Diego Maradona lit up the 1986 World Cup, inspiring his country, Argentina, to victory in Mexico. He scored some amazing goals thanks to his talent as a skillful player, but his most memorable goal comes from his deep desire to win. 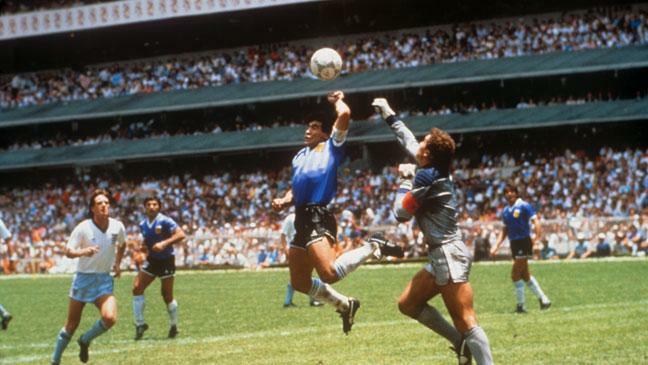 Maradona cheated and pushed the ball past the oncoming goalkeeper using his hand. Despite being a blatant handball, the referee didn’t see the incident and allowed the goal to be given. Argentina beat England 2-1 with the “Hand of God” goal proving decisive. Luis Suarez will try and do anything to make his team victorious. During the 2014 World Cup in Brazil, Suarez’s country, Uruguay, were playing Italy during the group stage of the tournament when Suarez was consumed by madness. The Uruguayan player bit Italian defender Giorgio Chiellini and then tried to defend his action by claiming he lost his balance and fell into the opposing player. Suarez received a four-month ban from playing after this event, which was the third time in his career he had bitten someone.